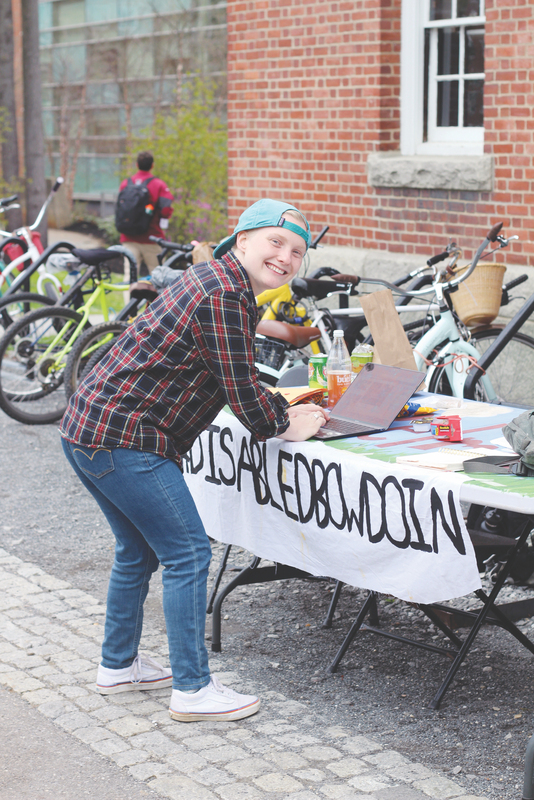 #DISABLEDBOWDOIN Daisy Wislar ’18 promotes a student petition that addresses shortcomings in Bowdoin’s disability policy. Last Friday was the first meeting of the Accessibility Task Force—a group of administrators, faculty members and students intended to look holistically at accessibility on campus. The task force coordinates the College’s efforts to be accessible and accommodating to all people in all capacities as well as to be in legal compliance with the Americans with Disabilities Act (ADA). The meeting of the task force is the formal reincarnation of the ADA Committee which, according to Matt Orlando, senior vice president for finance and administration and treasurer, had not met since November 2015. 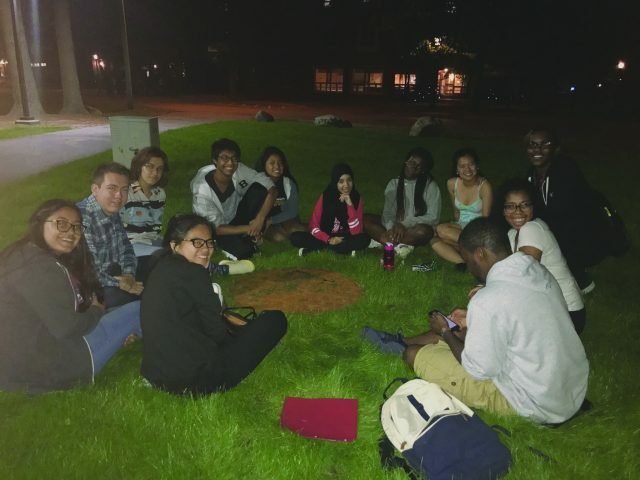 The move to reconvene the committee comes after a group of students circulated a petition last spring calling on the College to increase support and commitment to students with disabilities. 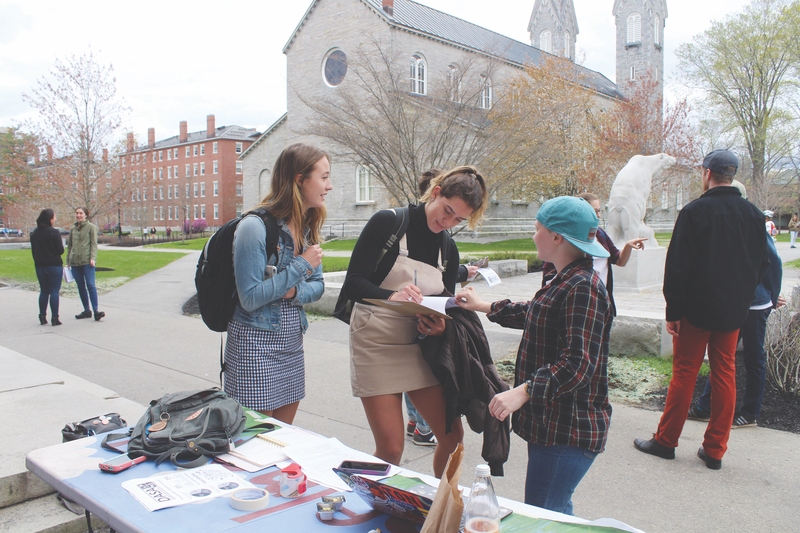 “The petition was an acknowledgement that the people in our community care about us and our struggles,” said Daisy Wislar ’18. 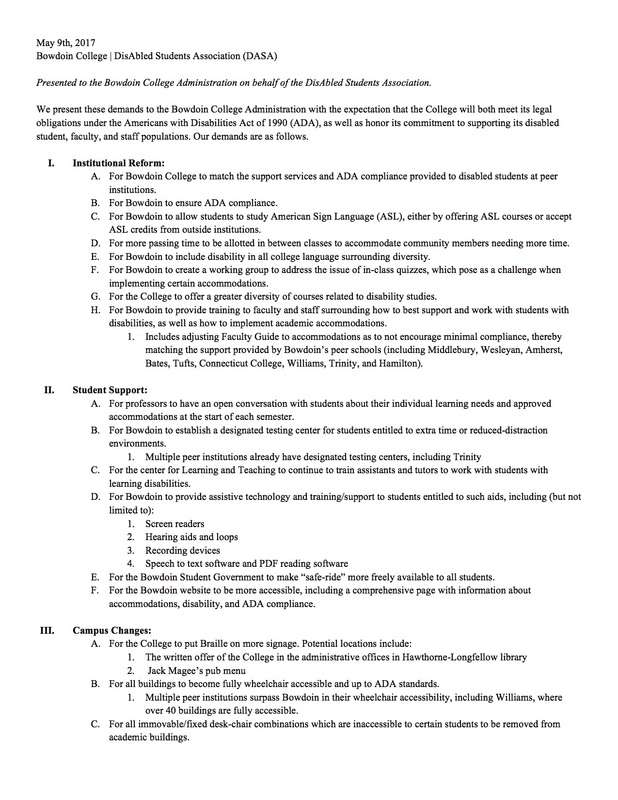 The petition, which garnered upwards of 700 signatures and was delivered to President Clayton Rose this summer, called upon the College to meet a set of demands which both address legal compliance under the ADA—a broad-ranging 1990 law prohibiting discrimination—and support disabled students, faculty and staff on campus in ways beyond what the ADA covers. The demands address big picture reforms, such as making all buildings fully wheelchair accessible, including disability in all college language surrounding diversity and granting academic credit for the study of American Sign Language. The demands include points about supporting individual students, such as establishing a designated testing center for students who receive extra time and an expansion of safe-ride. Wislar, who championed the petition along with Evan Baughman ’17 and Jacob Russell ’17 through the Disabled Students Association (DASA), was ecstatic about the support it received. DASA, which is newly chartered this year and led by Wislar and Zoe Borenstein ’18, aims to mainstream disability as area of focus on campus. “Our goal is to increase visibility and inclusion of students with disabilities and accommodations on campus through programming, events, meetings, community event opportunities,” said Wislar. The new task force, preliminary planning for which began last spring around the time the DASA petition was being circulated, is composed of 17 members, primarily faculty and staff with three students contributing input. 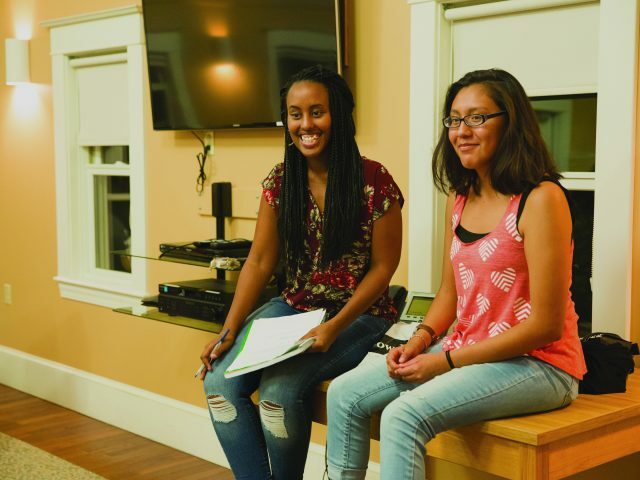 According to Orlando, the students on the committee, who are Wislar, Ana Timoney-Gomez ’18 and Astrid Self ’20, were suggested by the Office of the Dean of Students and directly appointed. 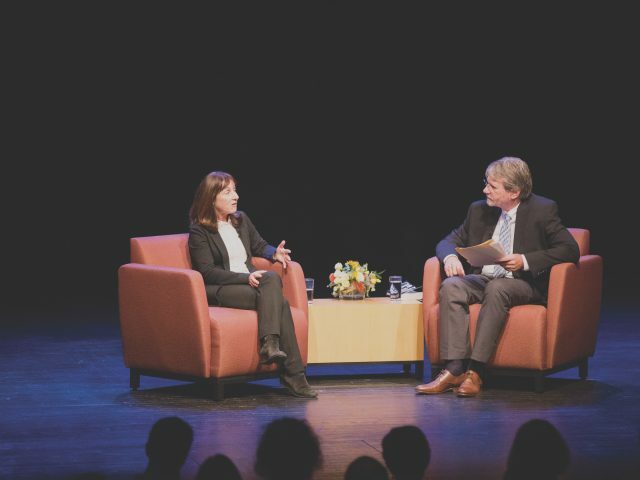 “[I believe,] since I was one of the few students on campus at the time, [I] was asked to be on the panel. I was in the right place at the right time,” said Self. As its chair, Orlando will oversee six sub-committees focused on topics including facilities, assisted technologies, web-accessibility, faculty training on student accommodations, public access and campus culture and communication. “It became pretty clear to me that the focus, historically, on strictly the physical facilities on campus—ADA ramps and things; physical accommodations; desks and furniture—was not broad enough,” Orlando said. This is a new focus since the previous iteration of the ADA committee at Bowdoin. According to Director of Accommodations for Students with Disabilities Lesley Levy, that committee was mostly focused on making buildings more accessible. Addressing the priority of digital technology and web-accessibility, there are plans to implement captions for live-streamed events and other assistive technologies like hearing loops, which transmit audio from an amplified source directly to a hearing aid, according to Orlando. The above petition enumerates the demands of the Disabled Students Association. According to Levy, the new task force’s breadth of focus also stems from incorporating faculty, students, and administrators from many areas of the College, such as human resources, information technology and academic affairs. “This is a new endeavor to bring all of these efforts into one room and to talk about large priorities and strategize and also just understand what each individual department or program is already doing and being able to work more closely together,” said Levy. While the creation of the task force represents a big change, another change is afoot. This is the first year that there is someone in the dean’s office entirely dedicated to focusing on accommodating students with disabilities. Levy took on the position, which had formerly been coupled with another title, such as Dean of Upperclass Students, in July—though she will only work part time. In addition to focusing on individual accommodations, Levy will act as a liaison to all the subcommittees on the task force. 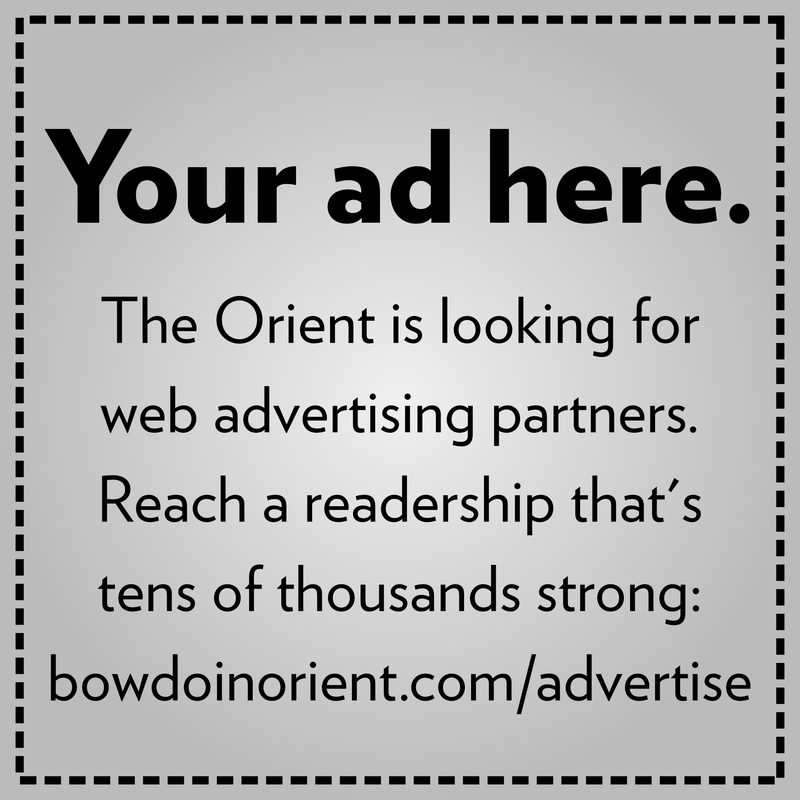 The creation of this task force is an important step towards improving accessibility at Bowdoin, but Wislar cautioned against seeing it as a fix-all solution. “I don’t want it to be like we created this committee so everything is going to be fixed, because it’s going to take a lot of work both on the committee’s behalf and also beyond the committee,” said Wislar. Self sees the new task force as an important step towards making disability more prevalent in campus discourse and thus making students with disabilities more comfortable. “It’s definitely a personal choice of whether or not more individuals want to share but if it’s a space that’s more accepting and comfortable with disabilities, then it’s easier to open up and be okay expressing yourself and your needs,” said Self.